Elad Gil is the Founder @ Color, the startup that shows you your genes can help you make better health decisions. They have raised over $112m in funding from the likes of General Catalyst, CRV, 8VC, Aaron Levie and more incredible names. Elad is also an incredible angel, counting the likes of Airbnb, Stripe, Optimizely, Opendoor and Wish all in his portfolio. 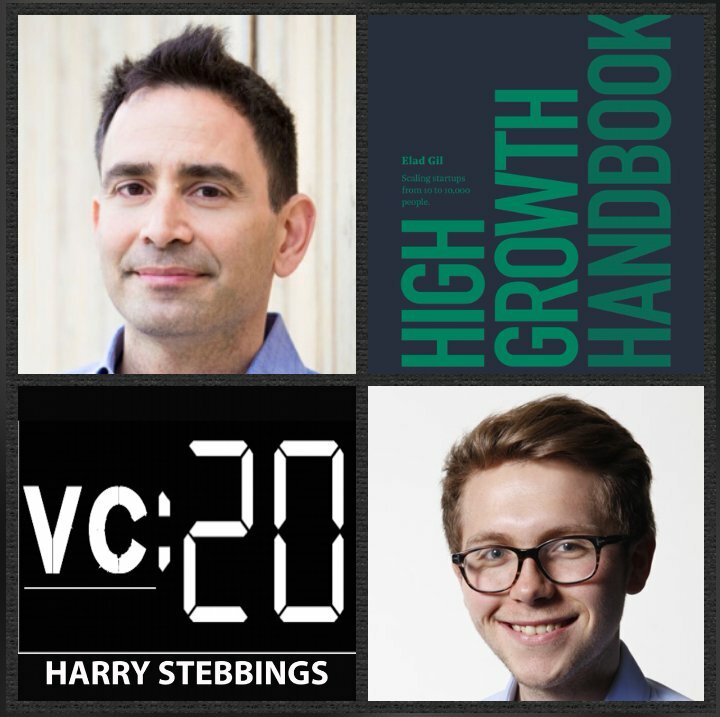 Now Elad is adding a new string to his very talented bow with the release of his book, High Growth Handbook, published by Stripe in which Elad interviews 14 leaders from the valley from Marc Andreesen to Reid Hoffman to Patrick Collison. Plus shares his own experiences from Google, growing from 1,500 to 15,000 and Twitter, growing from 100 to 1,500. High Growth Handbook is now available for sale on Amazon, Kindle, Kobo. 1.) How Elad made his way into the world of startups, came to found 2 companies that sold to Twitter and Google and came to invest in Airbnb, Stripe, Wish etc? 2.) How does Elad define the role of the CEO today? What are the commonalities in those truly great CEOs? How do the very best CEOs hire the very best execs? How do they address role allocation internally? How do they determine between employees that do and do not scale with the firm? Where do CEOs make the most fatal mistakes in high growth startups? 3.) Why are pre-emptive rounds so common today? Why does Elad believe many people will lose a lot of money in them? What advice does Elad give to founders when they are an option? Does Elad believe the lack of liquidity is good for venture this cycle? How does Elad assess the emergence of megafunds? How does this alter and distort the market? 4.) With regards to market share, how should founders prioritise between pricing and market share? Is cash ever a defensible moat? What does Elad mean when he says that “too many people are stuck on Amazon as the winning model”? Why does Elad believe that margins and capital leverage are the unsung heroes of tech? 5.) Why does Elad believe we have seen such a reduction in M&A? Why do many founders not fully assess the financial benefits of being bought by a high growth startup? What are the big questions founders should ask when an M&A opportunity does arise? What does Elad believe are the reasons to avoid IPOing? What are the inherent benefits of going public?